The role of machine learning and artificial intelligence in temp hiring has the potential to change the hiring process. While the goal of recruitment has always been bringing the best candidates and jobs together, with an average job opening receiving 250 resume submissions, finding the best candidate from a massive applicant pool is easier said than done. 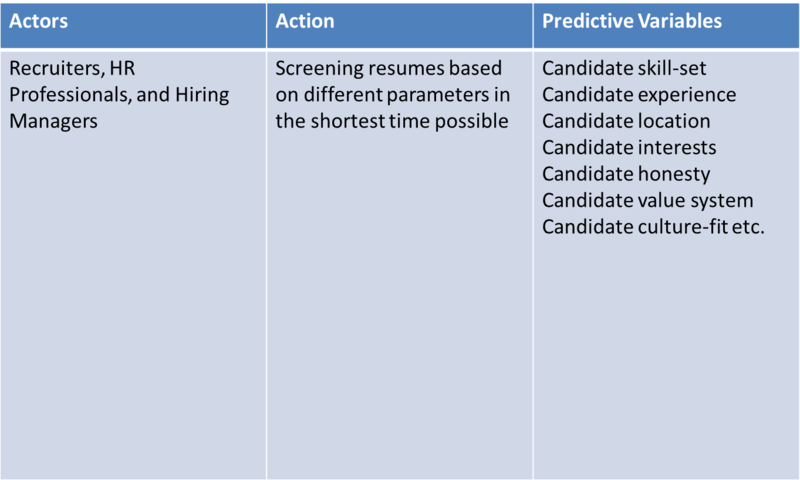 Even after several levels of screening resumes and interviewing candidates, recruiting still remains an educated guess, a hope that the candidate will perform well within a given environment if they are hired..
Who are the Stakeholders that would be affected by adopting Machine Learning and AI? Although technologies like AI and machine learning have been knocking on the doors of recruitment for quite some time now, most organizations are still reliant on keyword-matching algorithms which don’t take a candidate’s values, likes, and behavior into account. As a matter of fact, many organizations are still using job boards as their one-stop shop. These can be like a black hole for resumes and often feature job posts that have long been closed out. Another consideration are the various players within the industry that include recruiters, MSPs, VMS and SMEs, all of which have their say in the recruiting process. With no set protocol for inclusiveness, the process is often laden with several loopholes which the candidates exploit to make their way inside. Technology could potentially help to streamline these various factions and allow for better identification of talent. Companies Like Netflix & Google are Already Using Machine Learning in Recruitment! Why is that top companies like Google and Netflix are always spot-on when it comes to finding the best temp and permanent talent? These companies have taken the same technology that is used in self-driving cars and recommendation engines and implemented in recruitment. Yes, we’re talking about machine learning algorithms that can train themselves over time to predict future trends. The more data you supply to a machine learning system the better it performs. 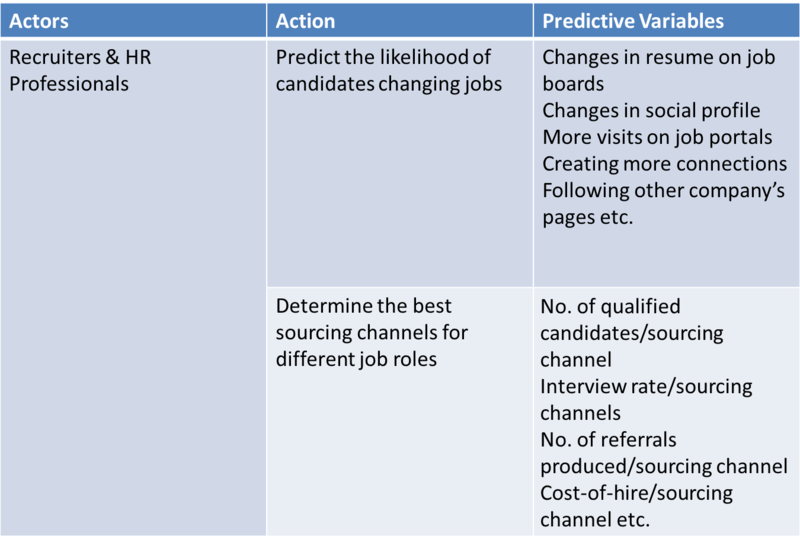 From anticipating the best sourcing channels for a job role to predicting candidate performance based on skill set, behavior, and values, these algorithms help organizations increase their talent quality while decreasing the time-to-hire. Below are the use cases for AI and Machine Learning divided into the five different stages of talent acquisition, and the possibilities for every stage. Top firms are using machine learning algorithms that use predictive variables like social profile changes, job boards visits and tracking to segment qualified candidates on their likelihood of changing jobs. They then target these candidates on different platforms using targeted advertisements. Not only this, ML algorithms can use data to identify the best sourcing channels for a particular job role. As a for instance, an algorithm could clarify that when sourcing Python programmers, tapping into GitHub communities might be even more effective than LinkedIn or other avenues. 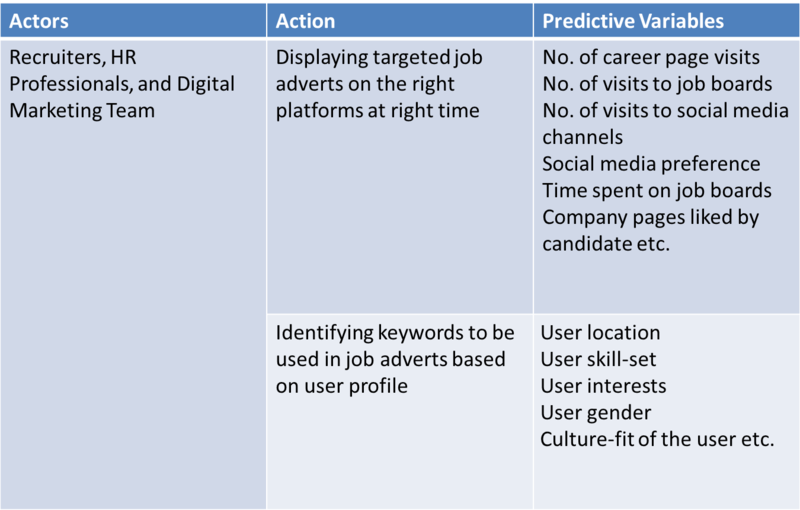 Based on candidate behavior and preference, some AI-based tools can also tell which keywords to use in job advertisements depending on the prospective candidate profile. Machine learning can not only help you screen resumes for keywords but for meaning. There are plenty of ways to do so. You can benchmark current resumes against resumes that have been successful in the past. You can then sort candidates based on different parameters like values, behavior,and reputation in your database. Most importantly, by using ML algorithms you can remove bias from the hiring process. 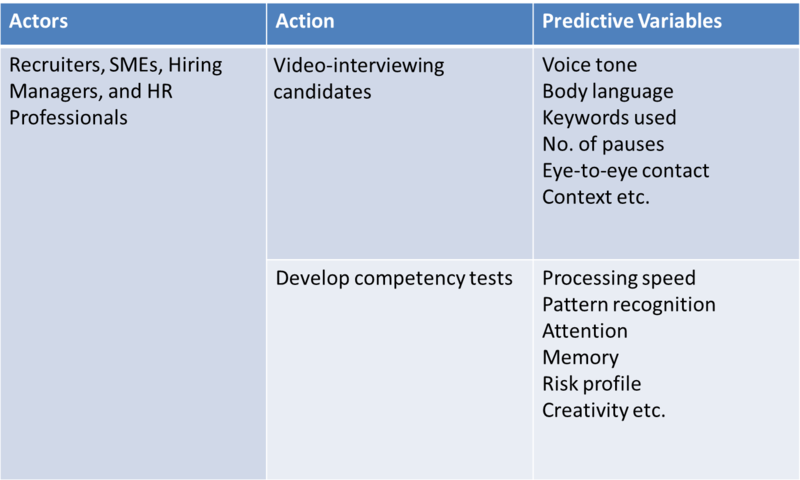 Video interviewing using ML algorithms not only helps save time but also reflects on patterns that are hard to catch even by the most experienced recruiters. By using algorithms to analyze voice tone, body language, context, keywords, and words choice, these algorithms can segment candidates based on their proficiency, honesty, culture-fit, and many more parameters. Using data from previous studies ML algorithms are now also being used to develop competency tests that assess candidates on number of traits like trust, sensitivity, communication, data interpretation etc. By using AI chatbots in recruitment companies can answer any questions a candidate might have 24/7. These AI chatbots come with programmed responses to a set of frequently asked questions and learn to incorporate new responses based on chat history. 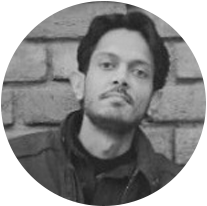 By self-learning based on interactions they can reduce recruiter man-hours considerably. 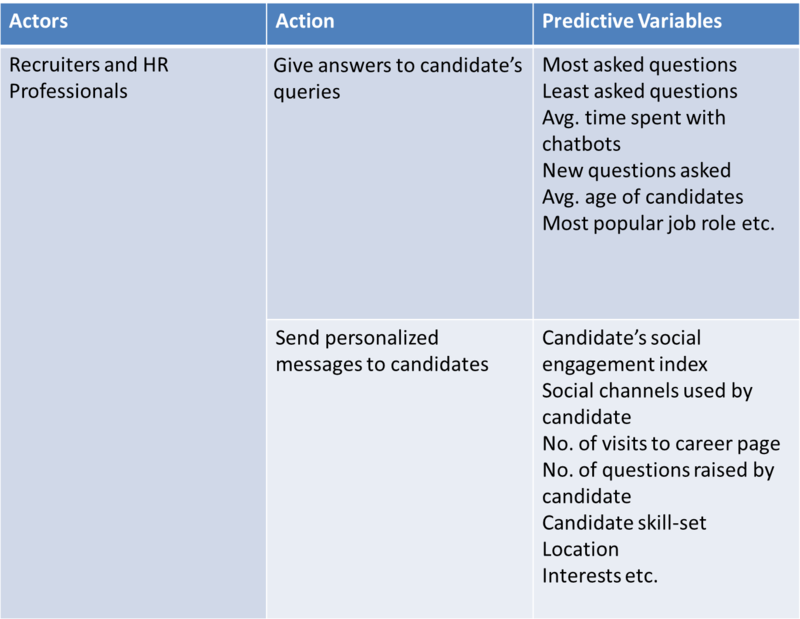 For companies that use machine learning in every phase of recruiting, by the time a candidate is about to be on-boarded they have made a virtual profile of each candidate based on his or her profile, which helps them curate personal messages for every candidate. There is no doubt that by using machine learning algorithms in talent acquisition, companies can make better hiring decisions whether it be sourcing, screening or onboarding. Technology has the potential to impact every part of the recruitment cycle and can considerably reduce the cost-to-hire. Data driven, consistent, and free from any bias, machine learning applications in recruitment might revolutionize the entire process.